Charles Rousseau inherited the responsibility of the domaine as a young man in the 1950s when his father died unexpectedly. 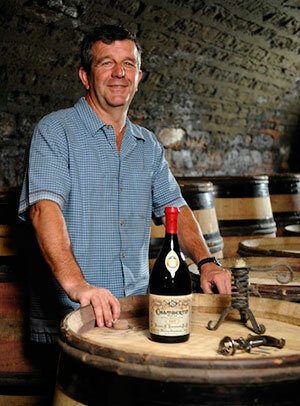 He bought several notable grand cru vineyards during the 1960s and pioneered domaine bottling at the same time. Today, he has 2 premier crus from Gevrey Chambertin and seven grands crus with the two giants, Clos de Beze & Chambertin being the target of all leading amateurs of fine red wine. Consistently well made and always offering complexity (even in the lesser vintages), the domaine is now run by Charles's son Eric who continues to develop the outstanding wine making at this famous burgundian domaine.